We're now working with rightStride® to bring you D30®. D3O® is a ground-breaking smart materials company specialising in impact protection and shock absorption. rightstride® have recently partnered with D3O® to exclusively utilize the unique patented technology within their orthotic solutions that provides an enhanced underfoot performance. You've probably heard of it and we're now working with Rightstride® to give you the chance to find out more. Please take a look at the rightStride® website to see their full product range. The D3O Performance Insole is a totally unique combination of D3O and a semi rigid polypropyle.. 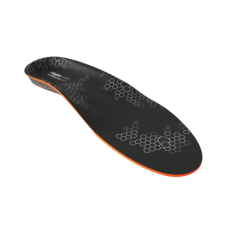 The D3O Support Insole is a great all-round device made of 100% D3O with a texted fabric cover, offe..